The Book of Proverbs is a gold mine of divine wisdom. 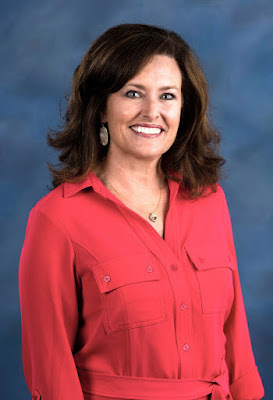 Author and speaker Donna Gaines applies that wisdom in very practical ways to the issues women face. 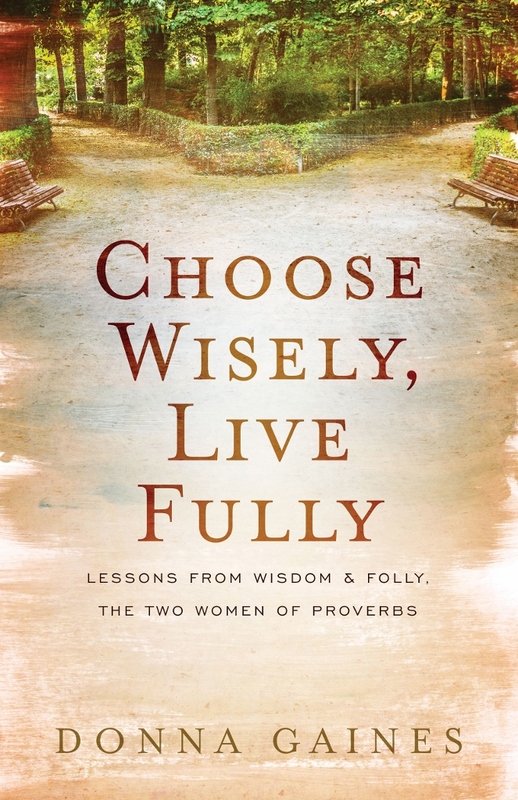 Choose Wisely, Live Fully (Abingdon Press) examines the blessings and curses associated with the choices made by the two women in Proverbs: Wisdom and Folly. 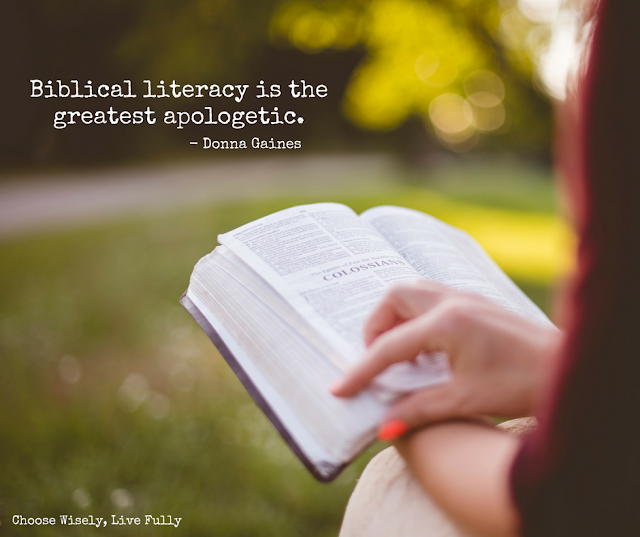 Within the book, Gaines also harnesses her two passions—discipleship and literacy—to challenge women of all ages to become “biblically literate.” Biblical illiteracy makes us vulnerable to influences that do not represent biblical truth. This book is a discipleship tool that will help equip readers to: discern the voice of God and follow His path (the path of Wisdom instead of the path of Folly); experience the joy of wholehearted obedience; and let God help them mentor the lives around them in remarkable ways. 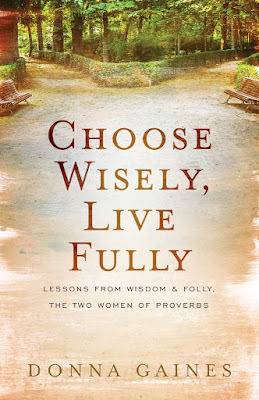 Q: What is Biblical literacy, and how do you address modern Christians’ lack of it in Choose Wisely, Live Fully? Bible literacy is the ability to understand the grand narrative of God’s Word and apply its truths to life. We must read and study that we might “rightly divide the Word of truth” (2 Timothy 2:15). Then, through the power of the indwelling Holy Spirit, we are able to choose to bring our lives into conformity to God’s Word. Biblical illiteracy (the lack of knowing what the Bible says) is rampant. Most of us honestly don’t know what God has said in the first place. Many church attendees profess Christ yet deny Him by their behavior . . . so what are we to do? I encourage people to read the Bible annually. Reading what someone else says about the Bible is no substitute for reading it yourself. When I disciple women, my goal is for them to become self-feeders. I want them to feed spiritually on the Word of God on a daily basis. If we knew God’s Word we would not be so easily discouraged or led into false teaching. Q: How does the general lack of Bible literacy in today’s world create havoc in everyday life? What are some examples of hot-button issues further complicated by Christians not personally knowing what God has to say on the subject? We all must be cautious not to lean on our own understanding but instead to ask, “What does God’s Word say about this?” It is easy for us to be influenced by our emotions, friends, media or what current culture dictates. Many Christians only know what other people say about God, which leaves the door wide open to individual interpretation, personal agendas and propaganda to make a point. People in the church have been as impacted by media and culture as those outside the church. The only way to be wise and live the life of spiritual blessing is to immerse ourselves in God’s Word and obey it. God is not just an idea or a concept. He is the Creator, Savior and King. When we come to Him through Christ, He becomes the reality around whom all the rest of our life conforms. Then it doesn’t matter what the issue may be: marriage, divorce, immorality, lying, or caring for the least of these — we choose to line up with God’s Word. Q: Why is mentoring younger women in discipleship important to you? Should every older woman actively aspire to be a mentor? In Titus 2, every older woman is commanded by scripture to teach the younger women. We are also commanded by Christ to make disciples and teach them all they need to know (Matthew 28:19–20). This call is for all believers. I find as the mentor and teacher, I always get the most out of it. That is why it is important for those we disciple to disciple others themselves later. The truths of scripture really become our own when we can articulate them to someone else. Q: Is it ok for a younger woman to search for a mentor instead of an older woman seeking her out? What should a younger woman look for in a mentor? It is absolutely fine for a younger woman to seek out a mentor. She should look for a woman who walks in wisdom, peace and Christian love. She needs to be a woman of the Word and prayer. I have had several women in the churches where my husband served as pastor I approached and asked to spend time with. It was not a formal mentoring or discipleship relationship, but I learned and was challenged spiritually by time spent with them. Q: Where can readers find your free downloadable resource on how to start a mentoring program? By visiting www.AbingdonPress.com/DonnaGaines, readers can download a free resource giving them a schedule for a year-long discipleship program. This schedule is designed for a two-hour weekly study. The mentor guide also includes suggestions for books to study in addition to reading through the Bible. There are also scriptures to memorize.